Send us your seat belts and we will UPGRADE to the color of your choice!! 1) 98% of our customers send us the seat belts out of their car. 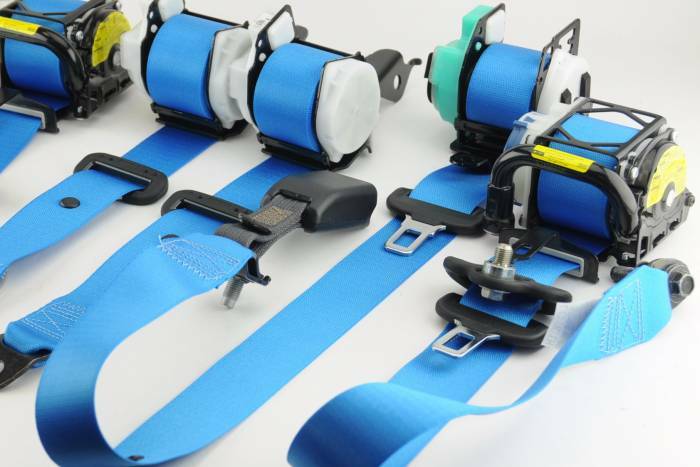 We replace the seat belt webbing on the same assembly equipment as the rest of our certified seat belt manufacturing assembly line. 2) Customers sometimes buy new OEM seat belts and send those to us for seat belt webbing replacement. They then sell their original seat belts and after installing the new ones to re-coup most of their expense. Price is per seat belt.